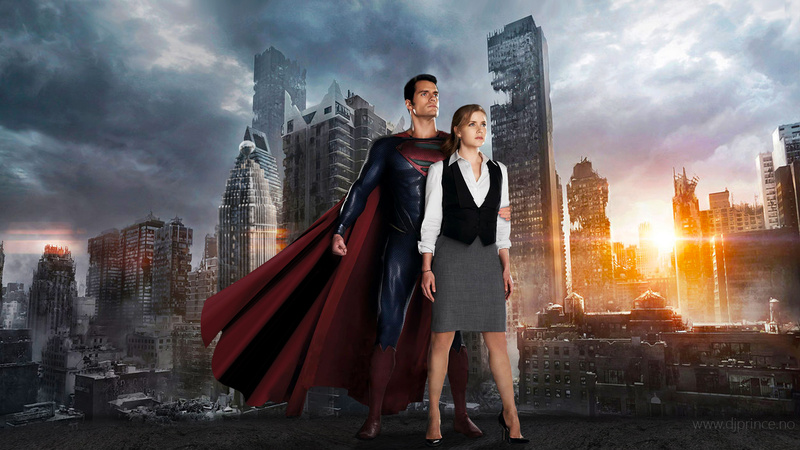 Being quite a devoted Superman fangirl, I held rather high expectations for this film. I knew it wasn’t going to be just another Superman film, and it certainly wasn’t. I haven’t quite decided yet whether the film met any of my expectations, nor whether I entirely loved it, but I have decided that it was very different from any expectations I originally held, and from those that the trailer may bring to the forefront of fans minds. The trailer portrays the film as a depiction, to some extent, of Clark’s past – it shows him as a child and a teenager. While these scenes are integral to the films storyline, they do not by any means make up the bulk of the film, they are fleeting and though heartfelt, I feel they were over too quickly. I suppose that may be the Smallville fan in me piping up – but I did seriously enjoy getting more of a glimpse into the life of Clark as a young man, striving to find himself and who he was alongside who he was meant to be. Clark does, however, find who it is he was destined to be, as always, with the help of his father, Jor-El, played by Russell Crowe. I am actually a bit of an anti-Russell person, and was disappointed when I found out he was attached to the film, but then I saw it. The opening scenes with Jor-El trying to convince the council of the end of Krypton and sending his son away while facing Zod, made me change my mind – Russell was in fact very good in the role of Jor-El, as much as it pains me to admit it, and he didn’t have to throw any phones to be so. Henry Cavill was also a breath of fresh air – he didn’t follow in the traditional movie footsteps of films such as Superman Returns, where Brendan Routh was cast almost certainly based in his resemblance to Christopher Reeve. Cavill is strong willed and emotional and his face has the ability to show emotion with just a lift of those gorgeously shaped eyebrows – in fact everything about him is more than pleasant to look at – and he was perfect for a not-so-young, 33 year old Clark finding his place in the world. He had the physique and the personality that fit Clark brilliantly. Other mentions in regard to casting aren’t as generous on my behalf: Kevin Costner was severely overlooked as Jonothan Kent, his scenes were much too short; Amy Adams was quite a poor Lois Lane, who played into the distressed damsel act way too much for my liking and Michael Shannon as Zod, though substantially evil, was also somewhat boring. In regard to actual plot – I was excited, and then bored and then let down and then okay. The beginning on Krypton caught my imagination and got me super excited for the rest of the film, but it kind of went downhill from there. The scene with the fight between Clark and two of Zod’s cronies was overkill, it seemed to just go on and on and there were way too many explosions than were really necessary. Not to mention that more than a few buildings were destroyed during his fight with Zod, and I’m sure the people of Metropolis – the thousands who would have died in the crumbling rubble, were thankful when he saved that one family of four in the station by finally snapping Zod’s neck and putting an end to the mayhem. It would have been worth it though had they included the original theme. I mean, I understand Nolan not including ‘na na na na na na na na na na na na na na na na Batman’ in his trilogy, but the theme that John Williams composed was brilliant, proud, dramatic, patriotic and it could have fit the film and finished it off nicely. When it got to the end credits however, I felt like the overall film had seriously lacked something, and it was more than just a theme song. I know it could have been better, and while I was somewhat disappointed, I still enjoyed the film for what it was – more of an action movie than a superhero one. I am, however, feeling fairly anxious about the Justice League movie after seeing this film.